Man Ray was a revolutionary artist, popularizing avant-garde European artistic ideals and bringing them to America through photography, painting, film and sculpture. He was born Emmanuel Radnitzky in 1890 to Russian-Jewish immigrants; his father was a tailor and his mother, a seamstress and he was raised in Williamsburg, Brooklyn. From a young age he was ardent in independently studying and practicing art, frequenting the museums and galleries of New York City. 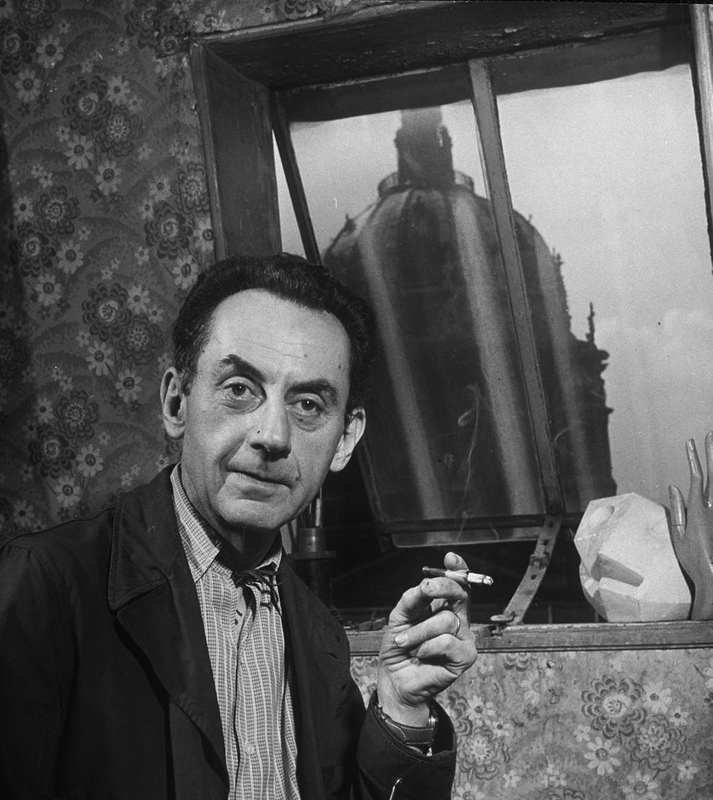 Shunning a traditional education in favor of a bohemian lifestyle, Man Ray didn’t receive formal artistic training until 1912, when he joined the Ferrer School, which was founded by a Spanish anarchist on libertarian and socialist ideals. In 1913 he moved to an artist colony in New Jersey. That same year, Man Ray met Alfred Stieglitz, who introduced him to photography and in 1915, he met Marcel Duchamp, who exposed him to Surrealism and Dada and would become a lifelong friend and collaborator. In this early era, Man Ray was mostly working in the Cubist style, painting semi-representational landscapes. In an effort to bring the radical artistic notions of Europe to America, Man Ray, Duchamp and art dealer Katherine Dreier founded Société Anonyme, Inc. in 1920, the first museum of modern art in America, which actively exhibited until 1928. Man Ray moved to Paris in 1921, where he would reside for the next eighteen years, joining an impressive array of prominent ex-pat artists of the era. Living in Paris brought about his mature and most well-known works, including his surrealist photography and chance-driven, absurdist “Rayographs.” During this time he also collaborated on films with Duchamp and Fernand Léger. Man Ray fled to Los Angeles in 1940 to escape the war and while there, became renowned for his fashion photography for Vogue and Vanity Fair, bringing an experimental, artistic boldness to editorial photography. He had his first retrospective at the Pasadena Art Institute in 1944 and eventually returned to Paris in 1951, remaining in his adopted city until his death in 1976. His work – lyrical, process-oriented and exploratory – continues to influence the multi-disciplinary and conceptually-focused contemporary arts landscape that he helped pioneer. "I would photograph an idea rather than an object, a dream rather than an idea."